“… Since my childhood, I remember the happy feeling when, amid of a warm summer day, I am resting in the middle of a flowered meadow and watching white, chubby clouds floating in the blue sky. Clouds are floating by. Where do they come from, where do they go? I am imagining how that tattered cloud, that just passed me by, in a few hours will fly over another city or town, and by evening it will be hundreds of kilometres far. We can travel in space along with clouds, light, and stars, we can travel the Earth countless times without any boundaries. In my mind, my dreams, and my works I travel the world near and far. My glass works are travellers, my representatives who go to different unknown places, meet strangers, discover new horizons, make new friends, and acquire impressions and ideas. Marta Ģibiete received her Master’s Degree in the Art of Glass at the Art Academy of Latvia in 2005. Since March 1996, she has been working creatively, participating in art exhibitions, projects and symposia both in Latvia and abroad. Marta Ģibiete is a Latvian glass artist, whose name does not require a special introduction and who is already internationally recognized. 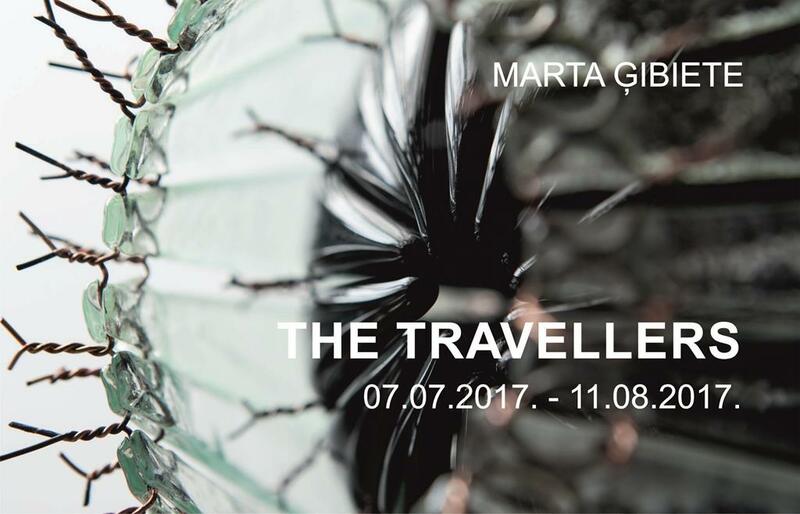 For over 20 years Marta Ģibiete has been elaborating and implementing her creative ideas in glass sculptures using her own art technique, as well as creating environmental objects from mirrors and other materials. Rapidly and brightly Marta entered the world of glass art at international level – in 1997, she won “The Ebeltoft Prize” at the International Young Artists’ Competition in Denmark “Young Glass 1997”, and a year later she won the “Jutta Cuny-Franz Memorial Award 1998”. The artist struck the world with an unusual approach to glass – from many geometrically accurately calculated pieces of glass with copper wires melted in, together twisted images that outgrow unconstrained forms of glass sculpture. The author’s technique laid grounds for most of her projects to this day. The artist’s works are in public collections of design and art museums in Latvia and in Europe, as well as her works had been exhibited in many international art exhibitions (France, Czech Republic, Japan, Korea, Bulgaria, Poland, Azerbaijan, Lithuania, Russia, Finland, USA, Germany, Estonia, Holland, Hungary, Belgium, Latvia).